Lakewood Invisalign treatment offers you something to smile about. Belmar Orthodontics believes that smiles are meant to be shared. But sometimes we shy away from sharing our smiles when we are undergoing orthodontic treatment because the appliances make us feel self-conscious. Sound familiar? At Belmar Orthodontics we offer an alternative to traditional metal braces that can discreetly straighten your teeth while improving the functionality of your smile without anyone noticing. 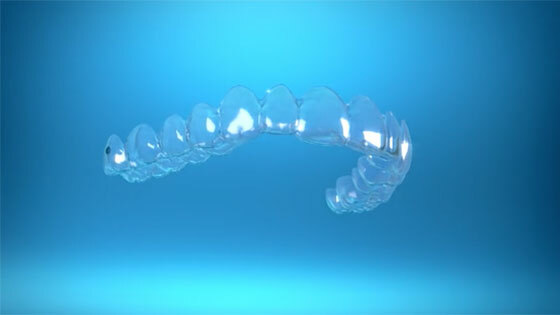 Introducing the Invisalign® clear, removable aligners system. If you are hesitating getting the orthodontic treatment you know you need because you can’t imagine attending social or professional events with metal brackets and wires in your mouth, we may have a solution for you. With the clear, removable teeth aligners that Invisalign® uses, Dr. Hardy can help you gradually move your teeth into their proper position, or correct malocclusion (bites that don’t close correctly), without the discomfort and presence of metal braces. When you select Invisalign® to correct your smile, no one else has to know! To learn more about Lakewood Invisalign treatment, or if you would like a consultation with Dr. Hardy to find out if you are a candidate for this treatment option, contact our office today at: 303.225.9016. During your initial assessment, Dr. Hardy will take an impression of your teeth to create a customized treatment plan for you with a series of clear aligners to take home with you. You will wear these custom-made aligners for 20 to 22 hours per day over periods of two to three weeks at a time and then move on to the next aligner in the series. This process of using aligners then switching them out for new aligners gradually shifts your teeth into their correct position. You can remove your aligners as needed for eating, drinking, brushing, and flossing. 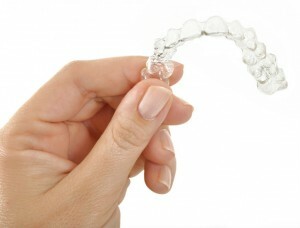 Most patients usually do not experience any significant pain or discomfort with Invisalign®. The number of aligners needed and total length of treatment can vary based upon your particular needs. On average, Lakewood Invisalign patients need 18 to 30 aligners for a period of 9 to 15 months to achieve their desired outcome. During your treatment, you will meet with Dr. Hardy periodically to ensure your Invisalign® treatment is working successfully. When choosing who will perform your Lakewood Invisalign treatment, it is important to take the time to find someone who you can trust to give you the best treatment possible. Many general dentists may offer Lakewood Invisalign as part of their treatment options, but unlike a general dental office, an orthodontic office is 100% committed to orthodontic treatment everyday. In addition to this, orthodontists spend two to three additional years after completing dental school to earn advanced education and training in a specialized orthodontic residency program. Dr. Hardy earned his specialty in orthodontics and was extensively trained on correcting misaligned teeth, adjusting occlusion (the way the teeth fit together), and treating jaw disorders. He offers you a state-of-the-art facility with the most recent advances in dental science. His caring staff creates a comfortable, relaxed atmosphere that you will feel at home in from day one.